a particular time to fail? There was a rigger int he area and Fleetwing's rigging had not been inspected since its launch in 2004 so I thought it would be a good idea to have it done. His arrangement for going up the mast was a three to one pully with a very thick rope tied off to two halyards. Having attachments to both halyards provided the redundancy. I noticed he didn't use the shackles on the halyards, he tied his rope directly to the rope above the shackles. I guess that takes out the possibility of a shackle failing. His arrangement was easy for him to use. He went up the mast by just pulling on his rope and with the mechanical advantage, he made it look easy. 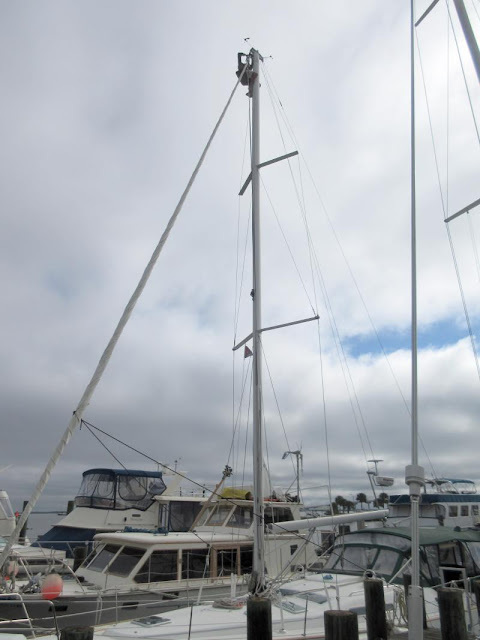 While he was up there, I had him replace the 12-year-old anchor light with a new one and also the deck light which had disintegrated over the years. 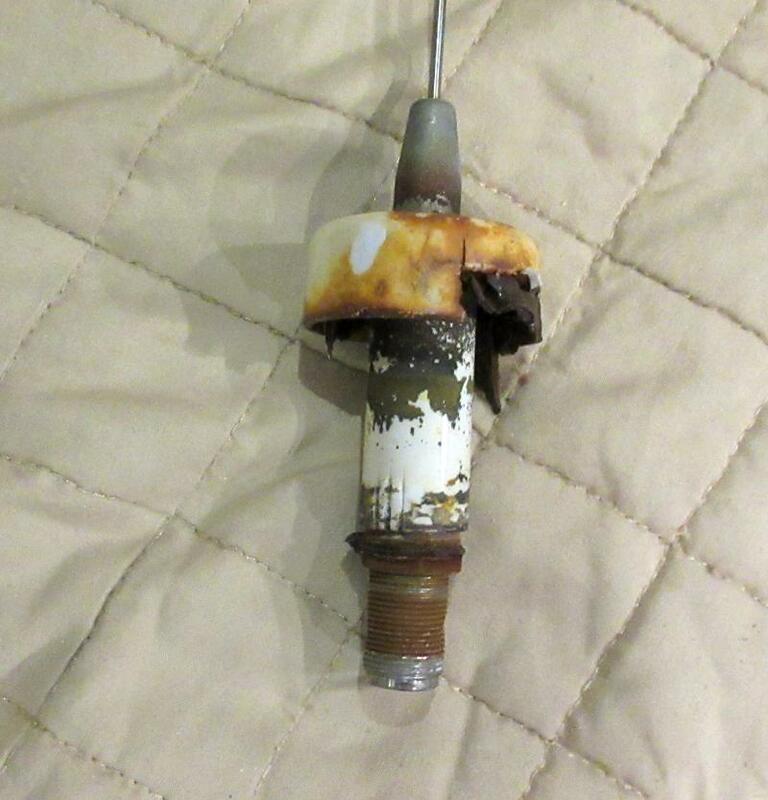 Once on top, he also found the VHF antenna in very bad shape. In fact, it's doubtful whether it was working at all. There was nothing left of the body and it was barely attached. I just ordered a new one which he'll install next week. Another causality was the Windex which lost a battle with hail a few years back but still, sort of, worked. It was time for that to be replaced too. Most importantly, the rigging was fine. He inspected all fittings and found them to be in good shape. That was a great relief since it was the first inspection in 15 years. It's true than Fleetwing has not been used for ocean crossings or even to the Bahamas but it is still good to know that the rigging is okay. There are two marinas in the harbor, Titusville Marina and Westland Marina. The latter is more of a liveaboard community and has lots of haulout space for out of the water storage. It's a DIY yard although they have mechanics that will work on your boat if you cannot. 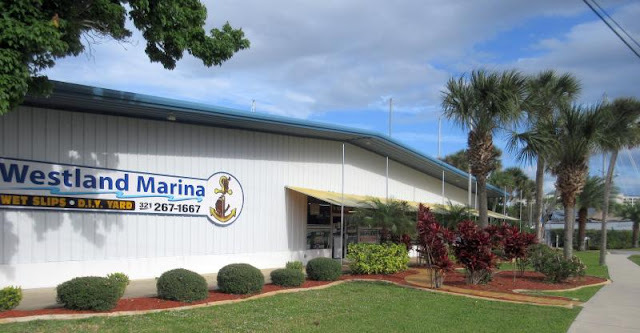 They are somewhat less expensive than Titusville Marina and it's also better protected since it's farther into the harbor away from the entrance. But, it's harder to get a slip there too. I've always been happy with where I'm at now and haven't tried to change marinas. 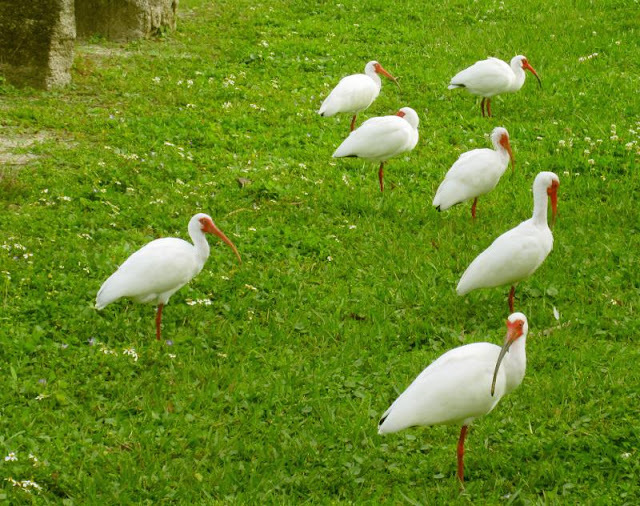 We have a local population of white ibis around the area. 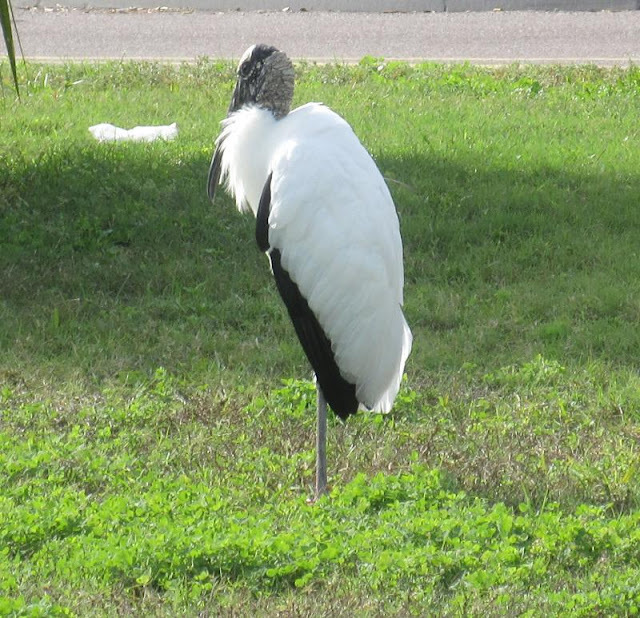 They are smallish birds and congregate around bodies of water. They are all over the place in this part of Florida. They don't seem to migrate and they've always been around when we've come through the area. I saw a manatee today but he wasn't doing too much, just being lazy. 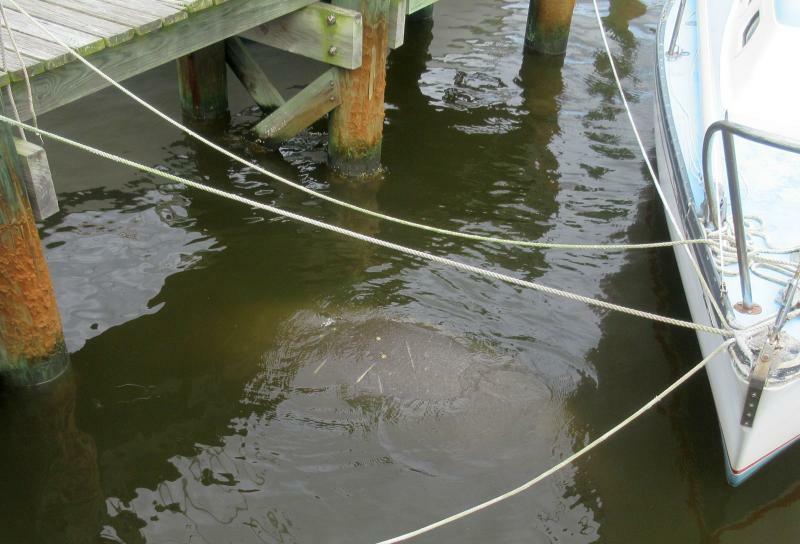 He did have propeller marks on his back which is pretty common for manatees in this area. You will never hit a porpoise, they move out of the way much faster than you can travel in a boat but a manatee is a different sort of creature. I've never run into one yet but many people have. It's rare to see a manatee with an unmarked back and this one is no exception. On Thursday, we get our rigging inspected for the first time in 14 years. I don't know what the rigger will find, hopefully, it's not too bad. While he's up there, I'll have him replace my 10 years old LED anchor light and repair my deck light. He'll take photos and we'll take it from there. The winds have calmed down and now it's like being on land. I took a walk over to see if the boat I took a photo of yesterday had been removed - and it had. The owner was in the process of recovering it this morning when I passed by during my run. On the way over, I saw the waterpark for young kids. It looks inviting on a hot day. 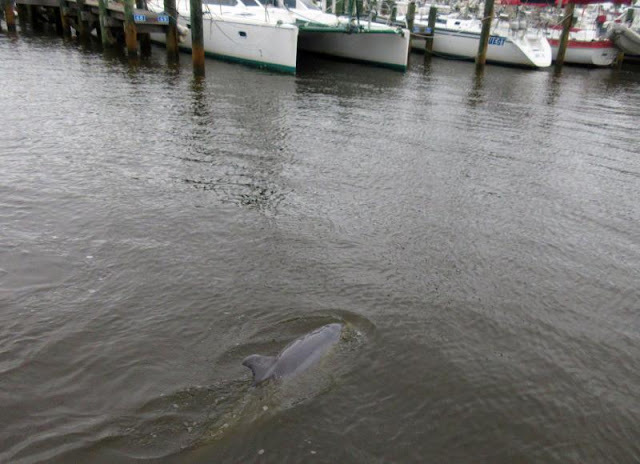 There were two dolphins in the marina today, just lazing around, not doing too much. They attracted a crowd of admirers. 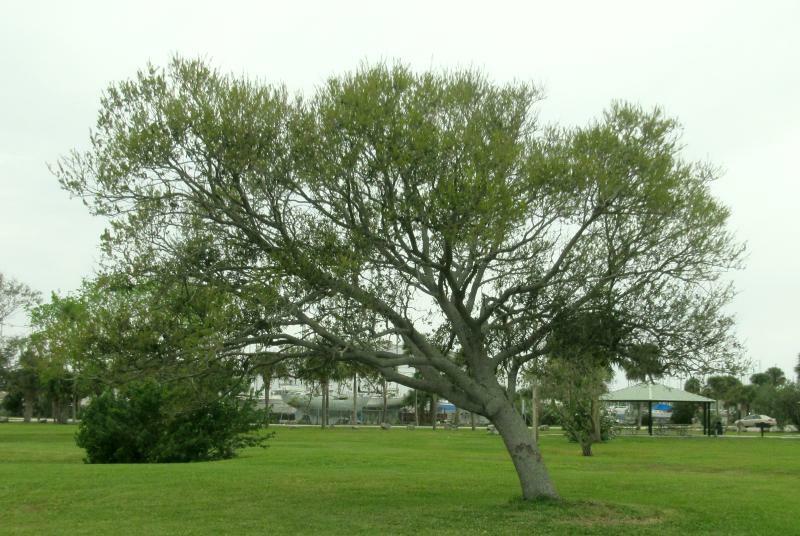 Also on the way over, I saw a tree that's in the photo and I thought I'd put a caption on the picture of, "guess which way the wind mostly blows here?" One guess, which way does the wind blow here? I scheduled a seminar today with Titusville for March 23 at 7:00 pm, a Saturday with the title, "Going North." I plan to cover all the changes to the ICW over the winter including the active dredging in progress and the downloadable routes available for safe passage. If you're interested and think you will attend, reply in the comments section so I'll know the approximate number of attendees. 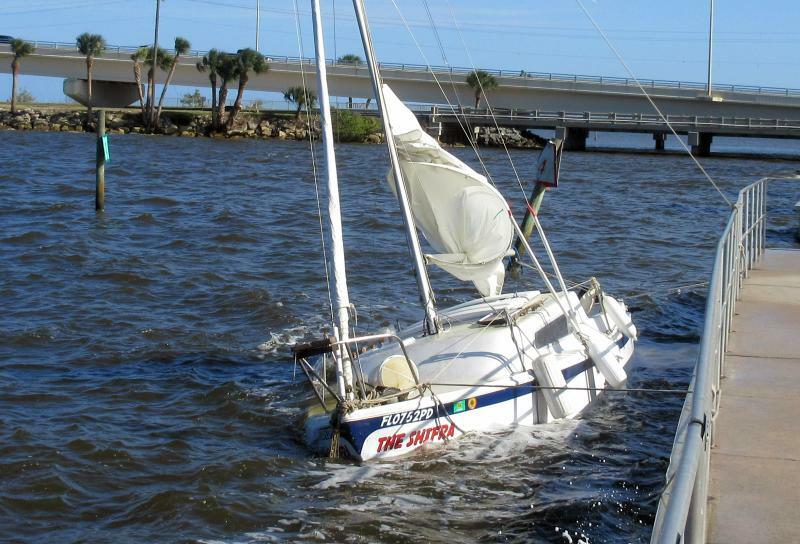 The winds blew last night, a steady 20 kts and the boat rocked, even at a dock. We didn't mind, we were rocked to sleep. The marina is open to the southeast so waves can curve around into the harbor even in a northeast wind like today. That is yet again another reason to get a 5 ft long inflatable fender from Easystow. They make so much sense and you never know when you might need that level of extra protection. 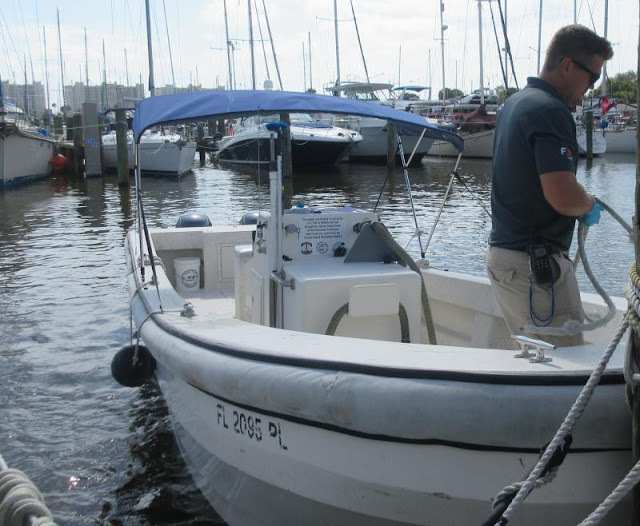 We left Fleetwing for three months at Titusville through many storms and the inflatable fender performed like a champ. The secret is the 5 ft length so it won't pop out when the boat moves around. Don't think about it, buy one. It stores easily in a locker. 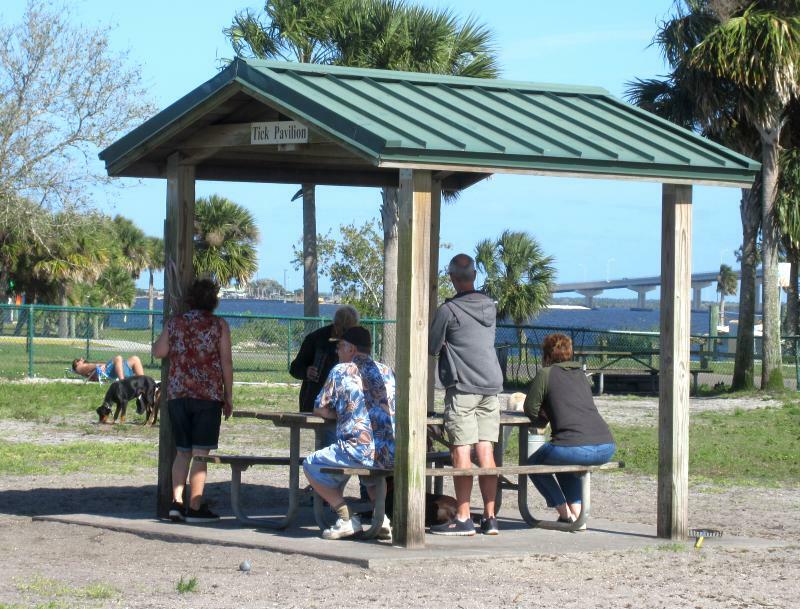 There's a pavilion at the dock park here with a name just perfect for a dog park. I'll let you look at the nameplate. As usual, Hoolie just ran and ran. He's getting on in age, now about 10.5 years old but he's still spry as anything, so far. 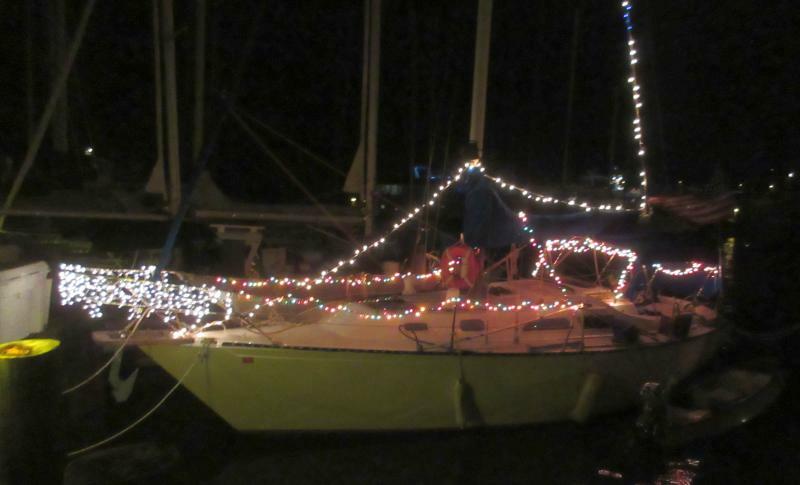 With the strong winds, we had a boat drag its anchor and wound up against the bulkhead. It's heartbreaking to see and we didn't see the owner near the boat today. The anchorage is wide open to winds building up wave action and it took its toll on the boat. 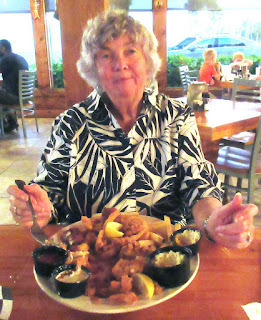 We had intended eating at Shiloh's Friday night but was discouraged when we saw the crowds for the all-you-can-eat fish dinner they have every Friday. So we hoped for less crowded conditions Saturday night. Arriving, we found the place packed as usual but we had reservations this time and were seated without delay. Their menu is varied but in places of this type, you order what they are good at, not necessarily what you would best want. 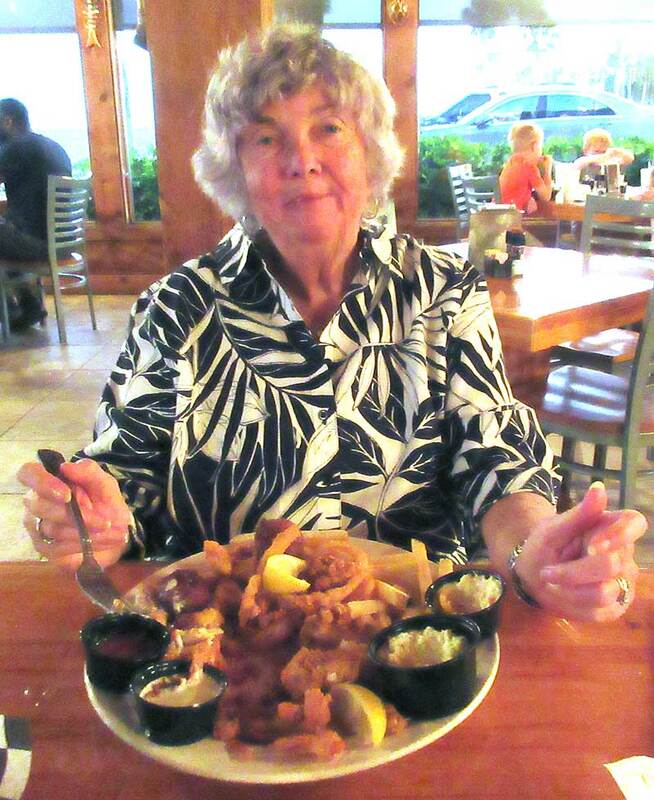 With that, we ordered the fried seafood platter with shrimp, fish, scallops, clams, french fries, onion rings and assorted slices of bread. It was good for a shore restaurant. Our standard of excellence is Lenny's in Branford which has appeared in the New York Times list of best shore restaurants. There you can get full-bellied clams. I've never found them outside of New England. We just had the clam strips at Shiloh's, adequate and good if you've never had the full-bellied type. 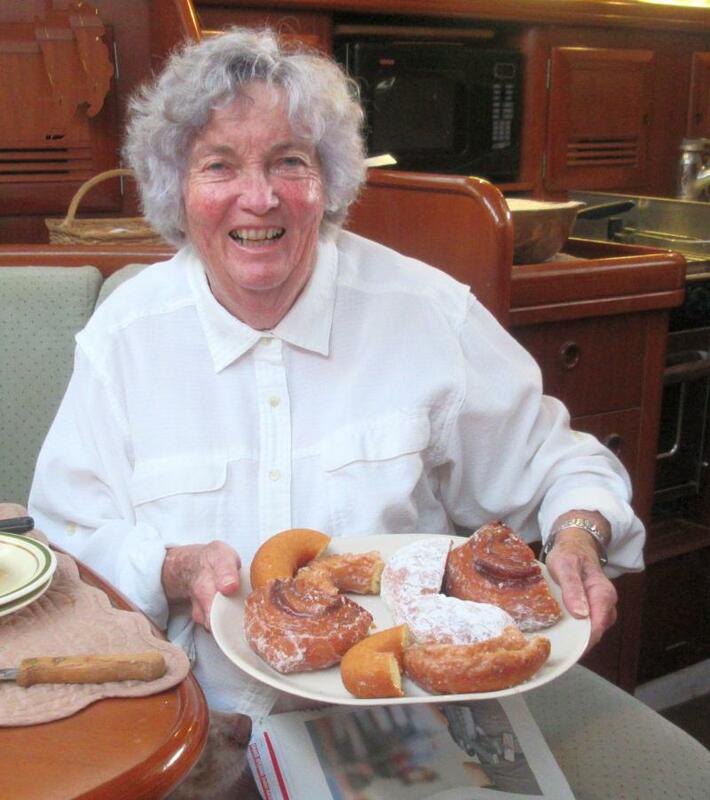 The next morning we had our usual donut treat from Donuts 4U, the best donut shop along the ICW. The donuts are the usual varieties but what makes them stand out is the execution. It's hard to describe the difference between ho-hum and wonderful in donuts but they are on the wonderful end of the spectrum. For this coming week, it's back to improving Fleetwing and debugging the Aqua Map beta some more. We rented our weekend car from Hertz since they still had the $12.99/day rate active. Enterprise has gone up to $20/day, too much. 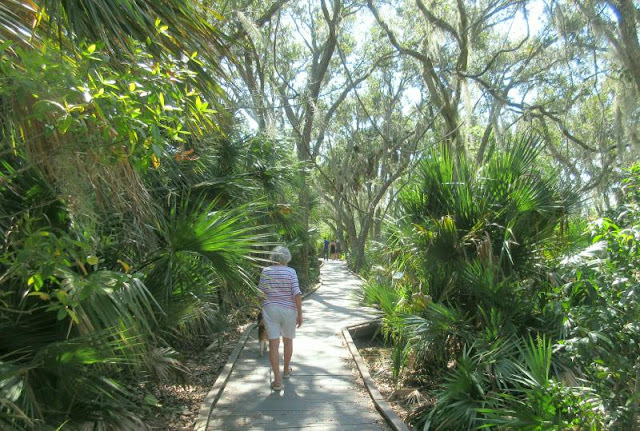 After getting groceries yesterday, the first order of business was to make a trip out to Black Point drive in the Merritt Island Wildlife Refuge. We drive through the area every time we're in Titusville. 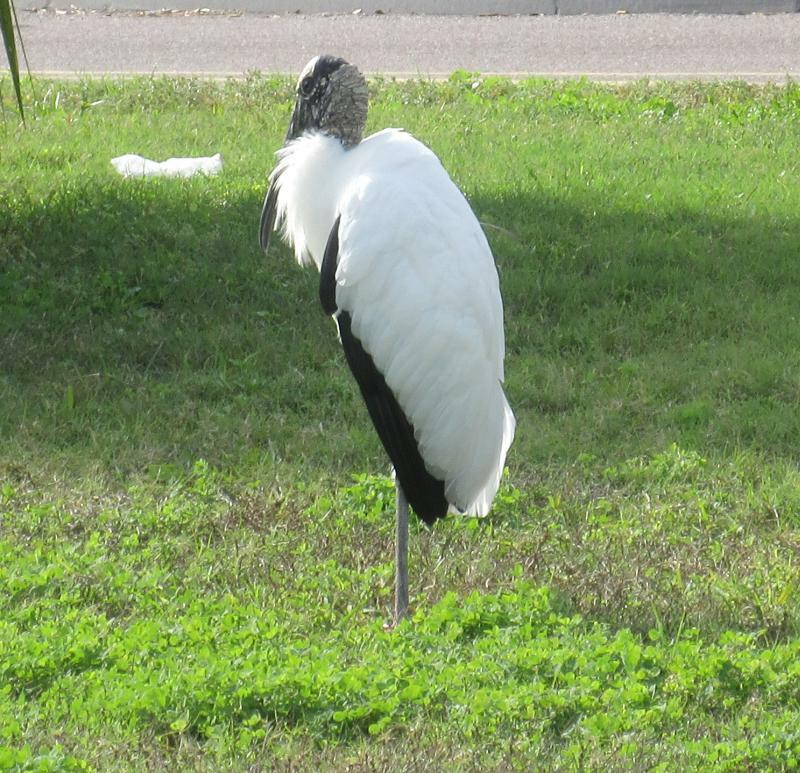 Merritt Island is located in a flyway for migrating birds and you never know what you'll find. 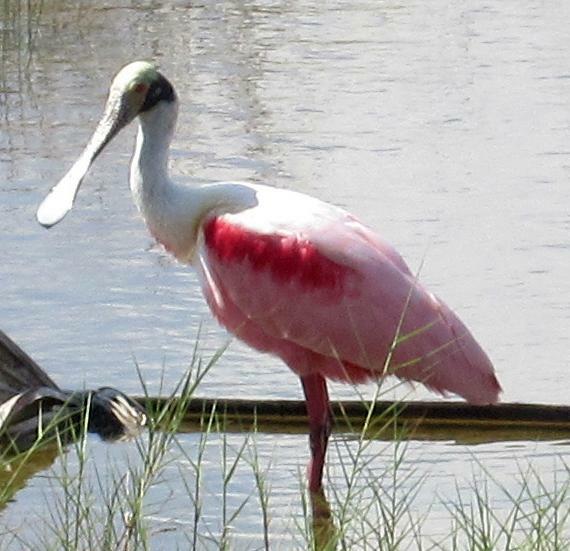 On this trip we found spoonbills decked out in their finest pink. They are graceful birds as they wade in feeding. We like to just sit and watch them from a distance but take lots of pictures. 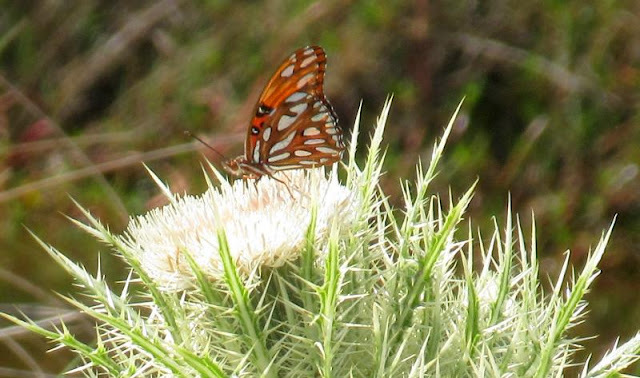 We also noticed a profusion of butterflies in thistles. I don't remember seeing so many thistles and the butterflies seemed to love what they had to offer. Bumblebees kept the butterflies company as they fed on the thistles. We closed out our visit with the nature trail at the visitors' center. It's a walk through the woods on an elevated walkway with many things to see. When we had Sarah with us last time, the woods were alive with animals that we never saw. She has very sharp eyes (and much younger eyes!) It was a fun day all around. We got our weekend car this morning form Hertz since Enterprise is no longer offering the deal for $12.99/day. I think the Enterprise thinks they can charge more, they used to be the least expensive but they've grown into the largest car rental company in the US. I suppose it's whatever the market can bear. For us, it's on to Hertz now. After our usual trip to Walmart for groceries, we found Paul looking over our boat so we introduced ourselves and traded stories. He will be leaving before us going north so I asked if he would post anything out of the ordinary on our Facebook page concerning the ICW. It always pays to have as much knowledge as possible on your way north. The ICW is changing this year due to all the dredging, more so than at any time in the past eight years so it ought to be an interesting trip. We had intended eating out at Shiloh's but when we arrived around 6:00, the parking lot was overflowing! The cars flowed over to the beach. I could just imagine the scene inside the restaurant with all those people. Tonight was popular due to their "all you can eat" fried fish special. I think it's best to avoid the restaurant on a Friday night. 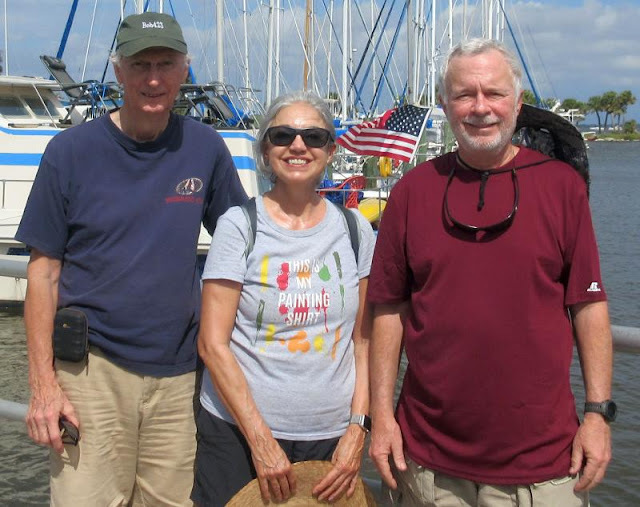 On Saturday, we pay out usual visit to Black Point Drive in the Merritt Island Wildlife Refuge. We heard there's a lot of spoonbills this year so we'll take a look. We're all waiting for a Space X rocket launch tonight. It will carry a communications satellite to orbit but also an Isreal lunar lander! It's hitching a ride on the major payer of the launch, the communications satellite and will then head for the moon. It's going a take a very leisurely path with multiple orbits around the Earth to save fuel but it will reach the moon eventually. We'll head out around 8:30 and hope for the best. Details. 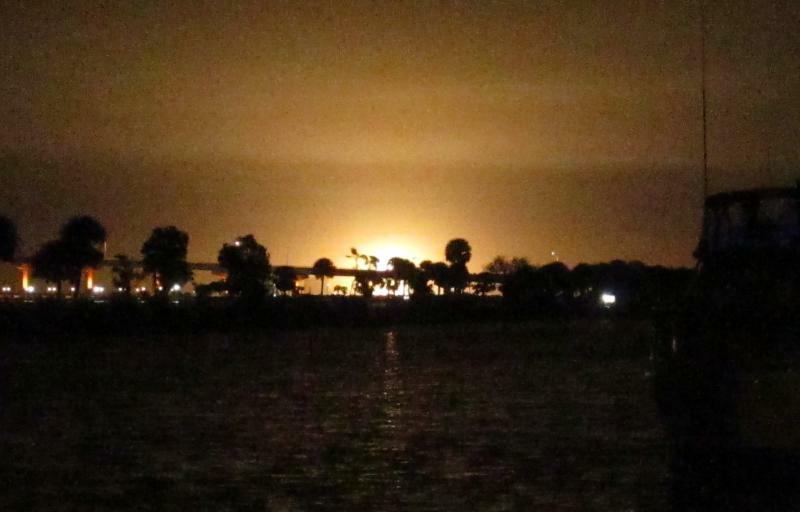 We just came back from viewing the launch from the end of "A Dock". Space X is starting to climb! 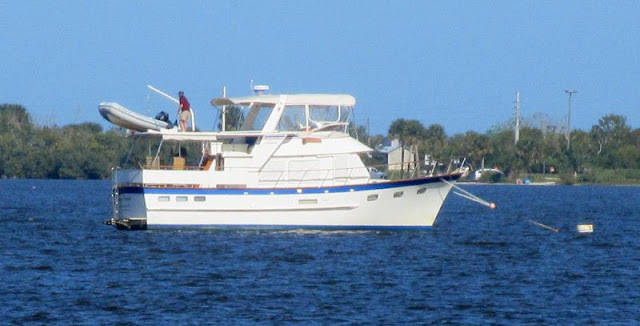 There are a lot of boaters that read my blog and know me from my Facebook page on conditions on the ICW. Occasionally, we get visits from those who have read my blog or posts. Today, the crew of Summer Breeze dropped by, Bruce and Rosie Phillips for a very pleasant afternoon chat. 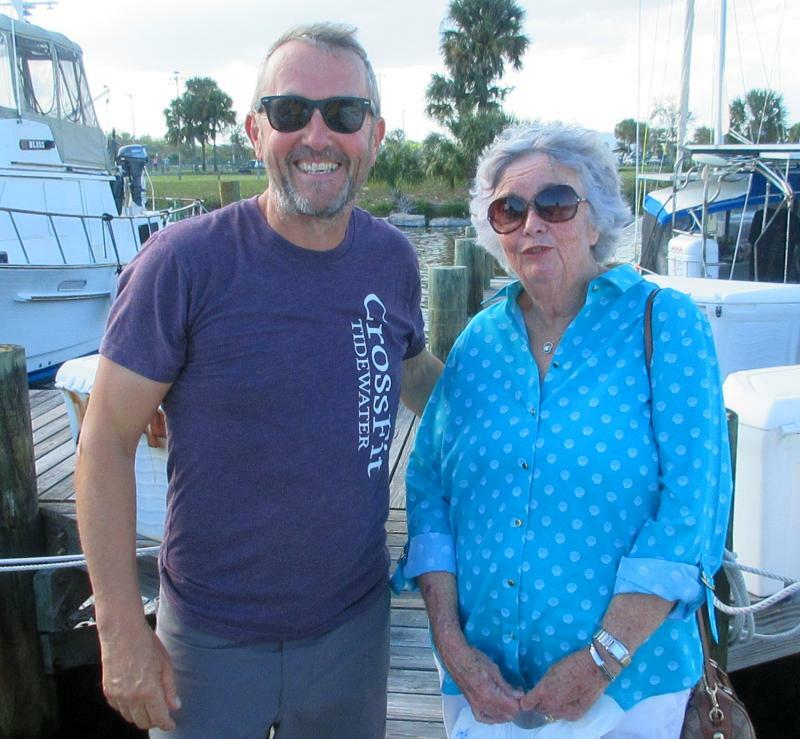 We always like to meet boaters along the way so if you're in the area, just drop by. I was wrong yesterday about the rocket launch, it's scheduled for Thursday, not tonight. 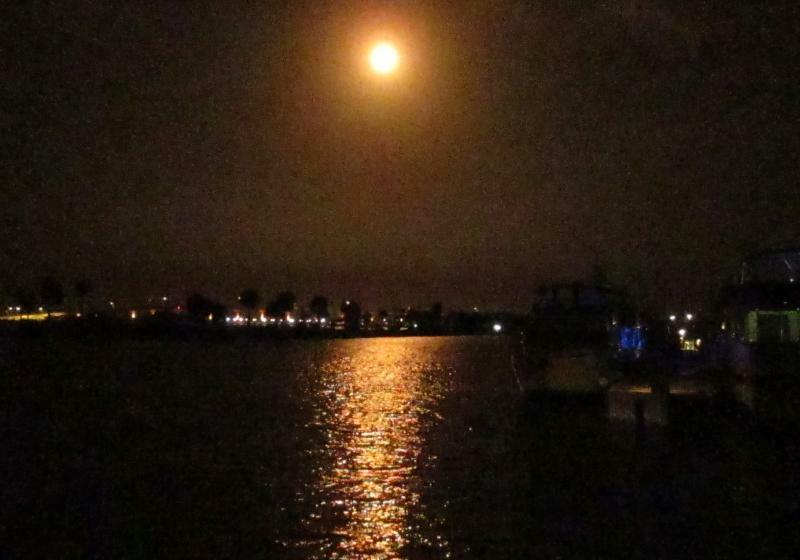 It will be a nighttime launch so it ought to be spectacular. I'll take pictures for the blog. This is the launch that will also include the Israel moon shot vehicle that's aiming for a soft landing on the moon. 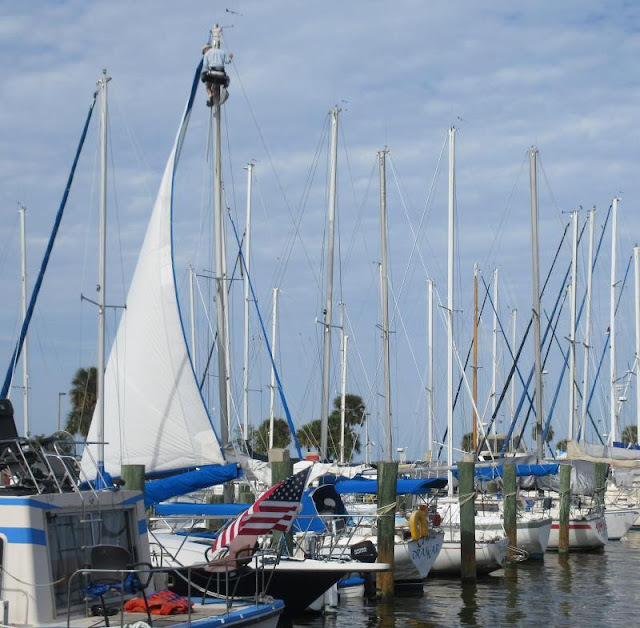 Titusville is home to a lot of liveaboards. With that, they offer two pump outs a week, Wednesday and Saturday. There is no charge for the service although I do tip $5 to the attendant. They also do the same service for those on the moorings. It's just good business sense for the marina and for the environment. Meanwhile, we're just enjoying the warm weather, great thing that is. Gee, thanks for the great perch!! You see a lot of TV antennas on boats of the type that look like a UFO, a horizontal disk with a circular antenna inside. The higher the antenna is mounted, the better the reception of far away stations. The highest part of a boat is the top of the mast so you'll see most antennas mounted there. It's also the most sought after perch by ospreys. 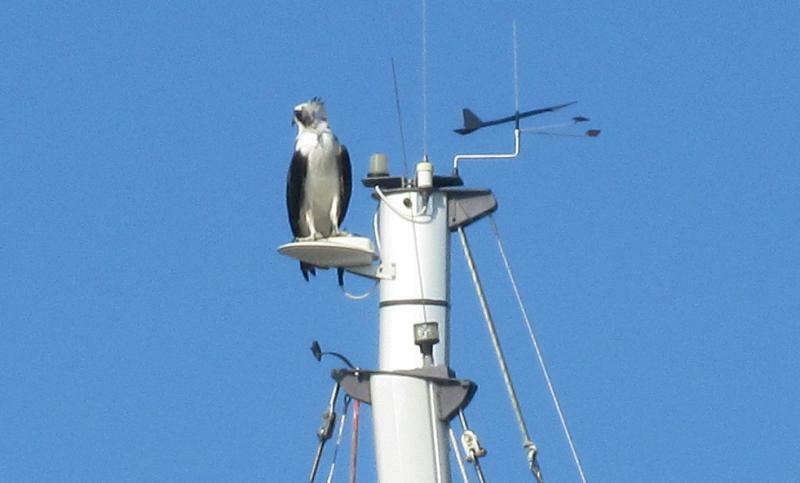 They like the high ground with a good view and a TV antenna mounted on the top of the mast is the perfect osprey perch. 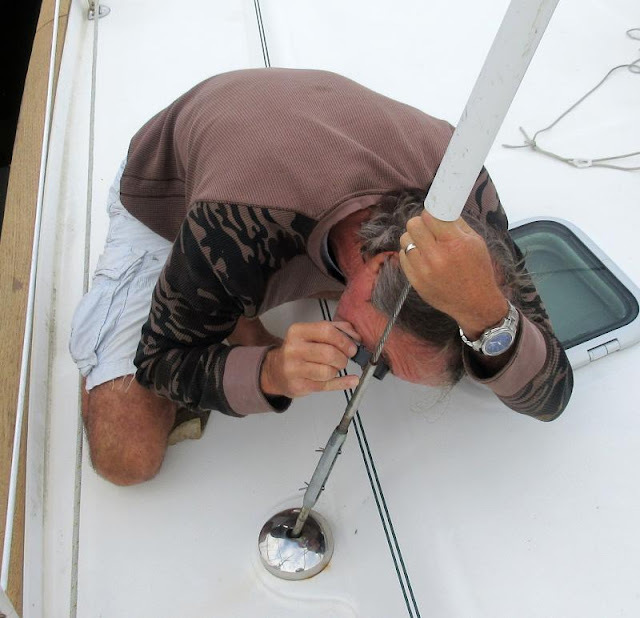 What's good for the osprey is not necessarily good for the cleanliness of your boat! If you have such an antenna mounted on top of your mast, you're doing your part to ensure the survival of ospreys but, perhaps, at the expense of a little clean up once in a while. They are beautiful birds to watch, just not too close to your boat. We had a "super moon" tonight, the brightest one in 2019. It's when the moon comes closest to the earth in 2019. 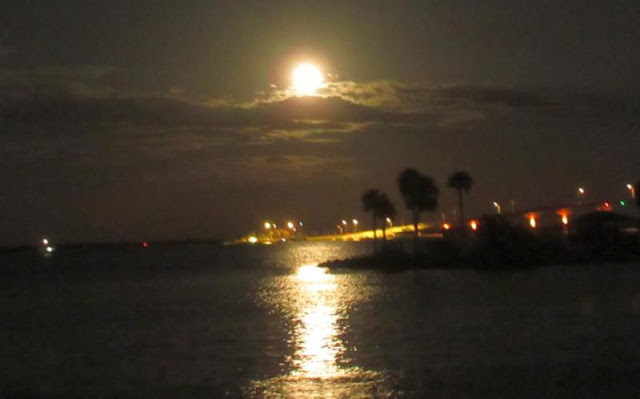 Although we don't get good sunsets, we do have a good view of the rising moon from Titusville. It really was beautiful There were a few clouds to add some color to the picture. Tomorrow there may be a rocket launch at night, great! Ann and I were born a little ahead of the baby boomers so when we first came down the ICW, we had the place pretty much to ourselves. Titusville was no problem then in getting a dock, it was half empty. The same went for Key West, plenty of space. Even at Vero Beach you could always get a mooring ball by yourself. I think those days are long gone. 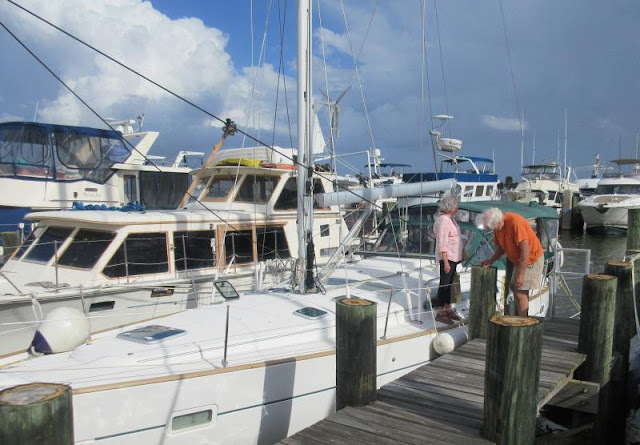 I saw just one empty dock here at Titusville and I heard that people looking for a dock at Key West are out of luck. 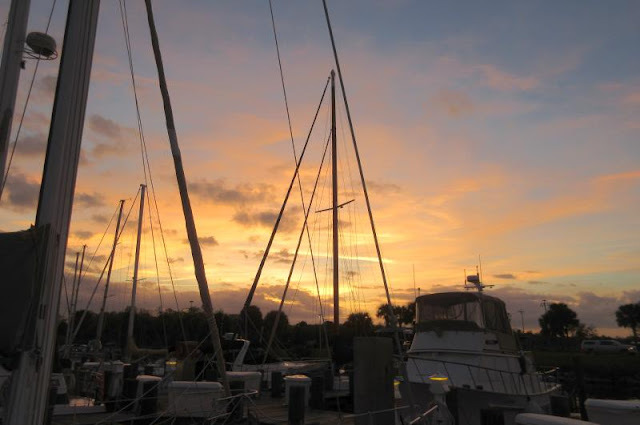 Vero always has double and triple on a mooring now. Marathon used to have empty moorings during January when we were on our way to Key West, not anymore! Not only are there no moorings, you have to sign up on a waiting list and that list can be up to 35 to 50 boats deep. So we take advantage of our past dockage to get first dibs on renewing our dock for the next year. 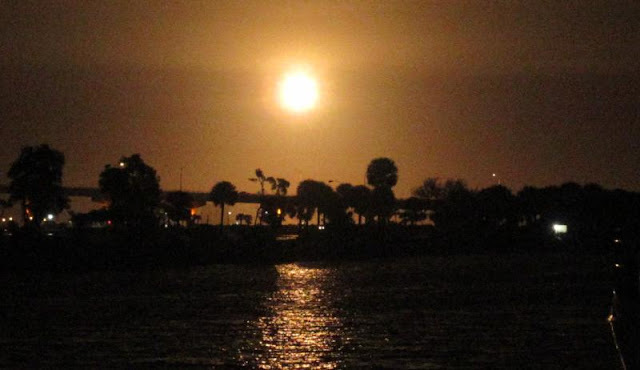 Although we missed out on Key West this year, we already have our dock there reserved for 2020, likewise for Titusville for the fall of 2019. If you want a long term dock, you have to plan ahead now, unlike in years past. Well, that's just the new reality of cruising now. You can always just anchor out, that's still an option but the room to do that at a place like Marathon is very limited. If you stay in the main harbor, you're always looking over your shoulder at the next guy and trying to figure wind shifts during the night. Bumping during the night is common there. Regardless, it's still a lot of fun and I would want everyone that can come on down and enjoy the ride. It's a unique experience with just the right mix of skill required, some tension, and beautiful sunsets. You ought to try it sometime. Donuts 4U cannot be beat! What more to ask? Donuts in the morning and pizza at night. Titusville has the best donuts we've ever had. It's a mom and pop store that make their own donuts, Donuts 4U. 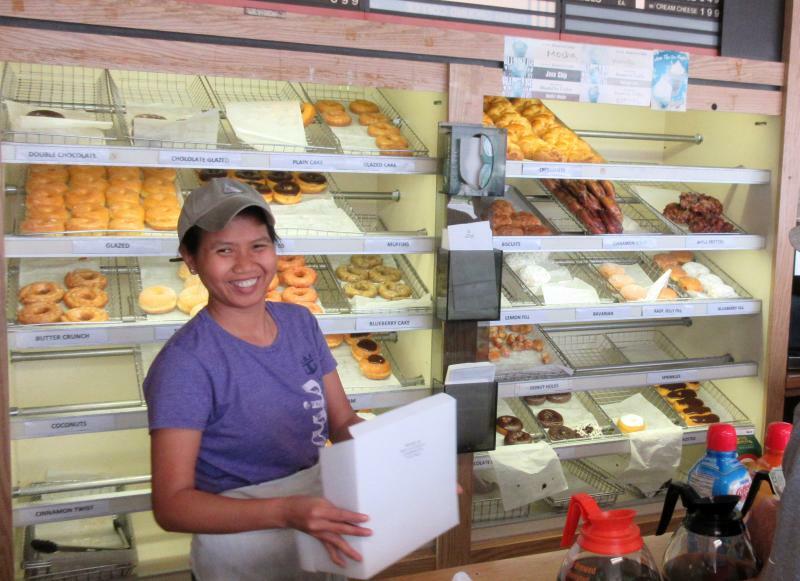 We always, without fail, have donuts on Sunday mornings from them. The jelly filled donuts put others to shame. 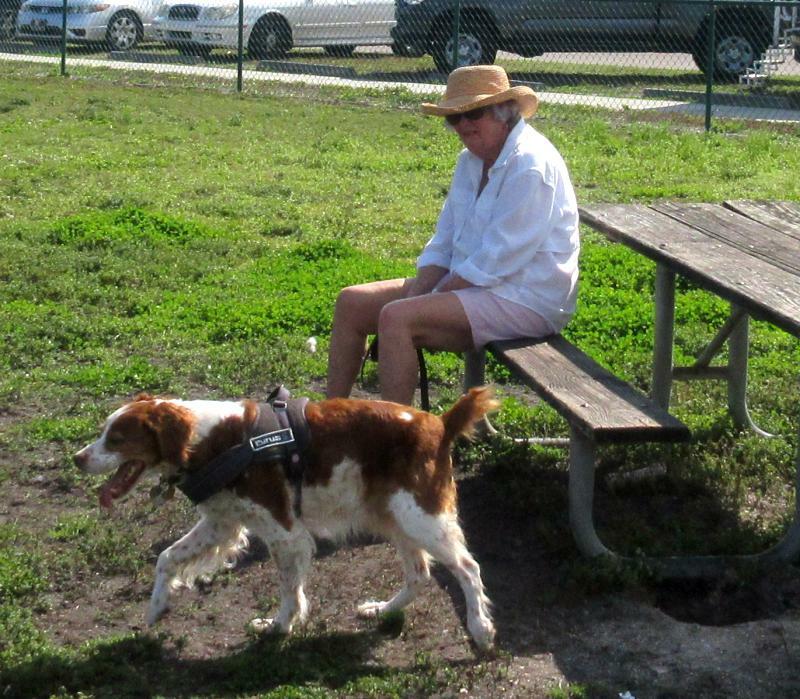 We took Hoolie for his afternoon romp at the dog park. He ignores other dogs, all he wants to do is chase tennis balls. He never brings them back but he does chase them and then loses interest when they stop bouncing. I'm sure there's something I should be doing here to teach him to bring the balls back but I haven't figured it out yet and Hoolie is not volunteering. Hoolie is waiting for me to throw the tennis ball yet again. It's the weekend, so it's a day of rest. We'll kick it into high gear (some) on Monday but for now, it's relaxing time. We've grown fond of Papa John's Pizza. For our tastes, it has the right combination of crust, cheese, and toppings that we enjoy. They are located right in town and will deliver to the boat. So we enjoy our wine and pretty soon, the pizza arrives, nice. On Monday it's wash day and more cleaning. First on the agenda was getting three months of grime off the boat. At least Fleetwing did look better after all that work - so I just had to take a photo, bear with me on that. The rest of the morning was spent on working the Aqua Map beta through its paces before the big announcement of all the enhancements. The home base for Aqua Map is northern Italy which is the Silicon Valley of navigation programs (Navionics and others). I trade emails with Claudio of Aqua Map on a daily basis, sometimes several times a day. Distance is no longer a problem in the internet age. It's more like being next door. The same can be said of managing my 4200 member Facebook page, it's all over the internet. I know a lot of people I've never met face to face but it's as if I've known them for a long time. You never know how many people you influence through your interactions, it's a great age. We will continue to get Fleetwing in shape and just enjoy the warm weather, better here than in New York where there's another snowstorm coming, we're told, ha, we'll miss it! We rented a car one-way and had to pay $0.24/mile for the privilege of driving to a location other than the one we rented from. It seems excessive but that's the only deal we could get. On the way, we looked at a potential new car, a Honda CR-V so we'll see if we can replace our 170K minivan and our 120K Buick LeSabre. However, none of this will happen until we return to New York. The weather continues to warm up, we'll take it. I'm deep into reviewing the next beta of Aqua Map. The features that will be added are far in advance of anything out there. I think the boating community will be amazed at the added capability and I get the chance to fine-tune the app for all our use. I'm anxious to write about it but I can't until the new Aqua Map is announced. We are getting into the routine of a morning run and an afternoon trip tot he dog park to let Hoolie run. The weather permits it and we enjoy the outing. 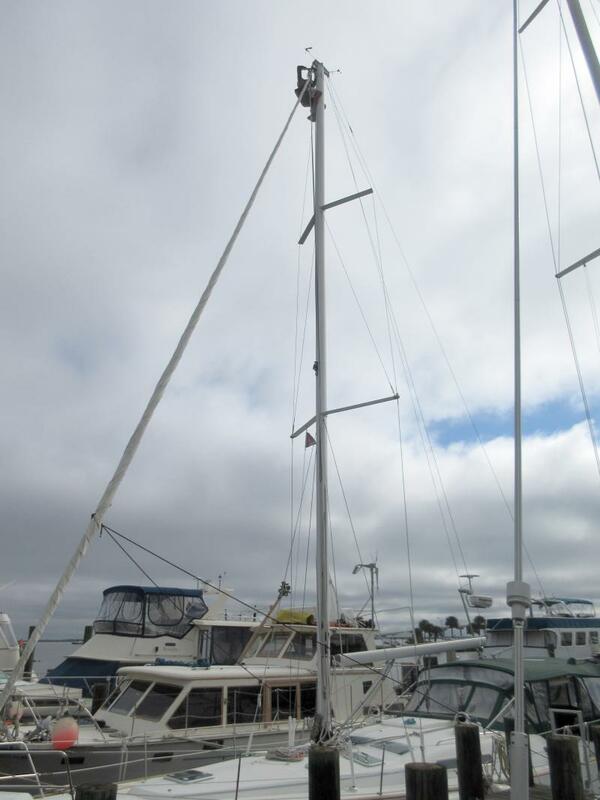 I need to have the rigging inspected so I'll contact that guy up on the mast to see if he'll inspect Fleetwing too. It's been 14 years without a look see. The marina manager, Tom, invited us all over for donuts, chocolates, and mimosas in celebration and a thank you from the marina. Titusville is run by a private company that's hired by the town of Titusville. 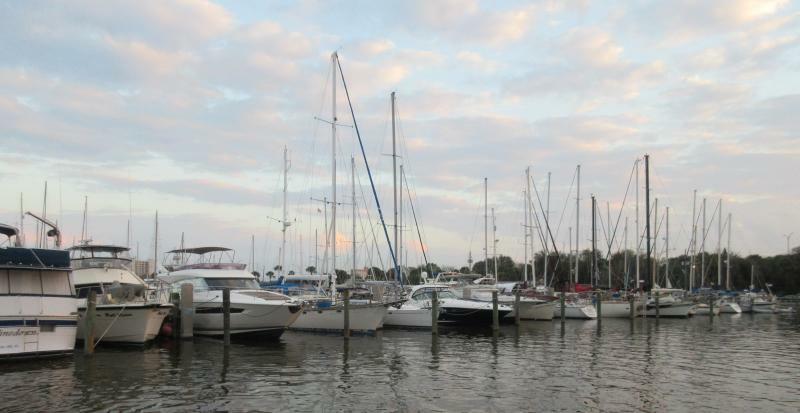 Under the new management, Titusville has gone from a marina that habitually been 1/2 empty to just about full all the time. It's tough to get a slip there anymore. 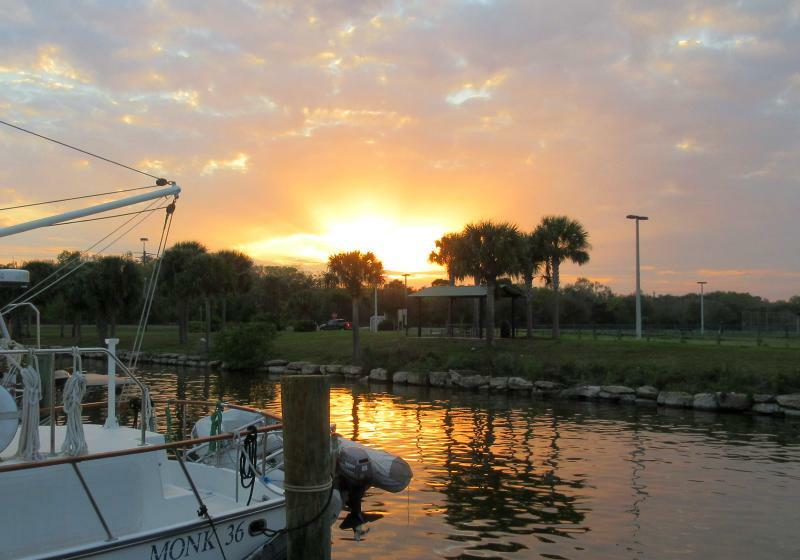 Tom has done a wonderful job and the town, who owns the marina, must be very pleased. 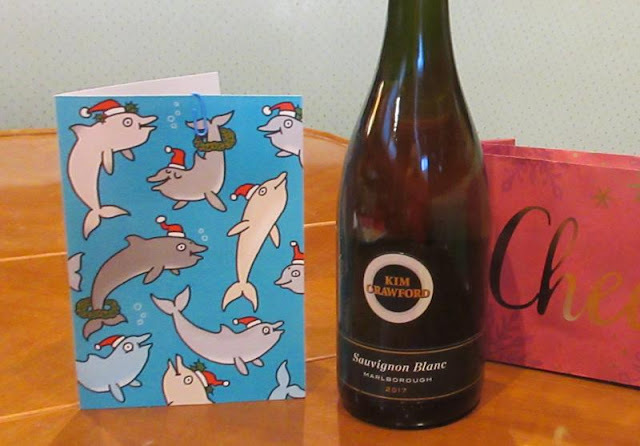 As a thank you to boaters, Tom organized a very informal "drop by" at the office which we took advantage of. 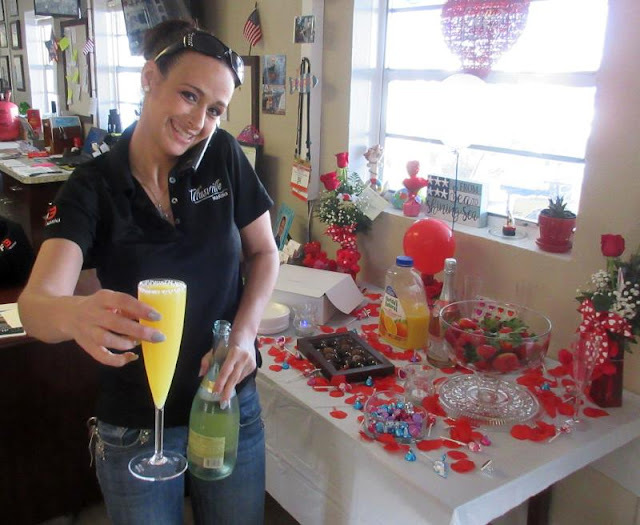 What's not to like about chocolates and a mimosa in the middle of the day? 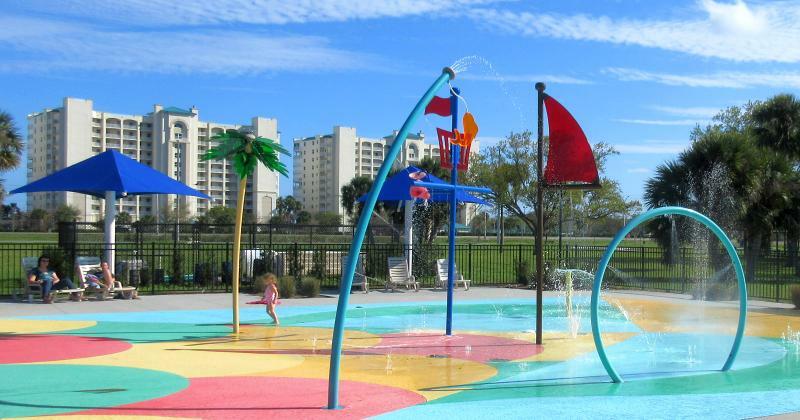 Titusville is still a very reasonable $10.50/ft per month for a slip within walking distance of town and a dog park as well as close to the Merritt Island Wildlife Refuge and the Kennedy Space Center. It's a good value. The weather continues to warm up with highs now in the '70s with a promise of 80's next week, we'll take that. We are now provisioned for the next two weeks at least after a trip to Walmart. They are hard to pass up with their prices being so much cheaper than anybody else's. We still have a lot of cleaning to do but it's nice to do it in the warm weather. 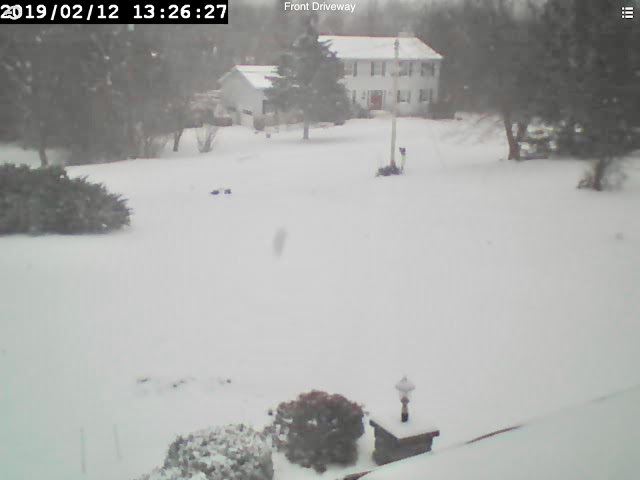 We got the southern end of the storm that dumped rain and snow on the northeast. It rained all day and the wind blew all the time but after leaving temps below 20 up north, I'm not one to complain too much. We just took the day off after all our traveling before launching into a massive cleaning tomorrow. Thursday will be provisioning day but then we have to turn the car in on Friday. After renting numerous cars for our one-way trips north and south, we had a "cross-over" SUV, the Nisson Rogue and now I can see the attraction for long-range traveling. They ride okay and there's lots of room for hauling boat stuff back and forth. 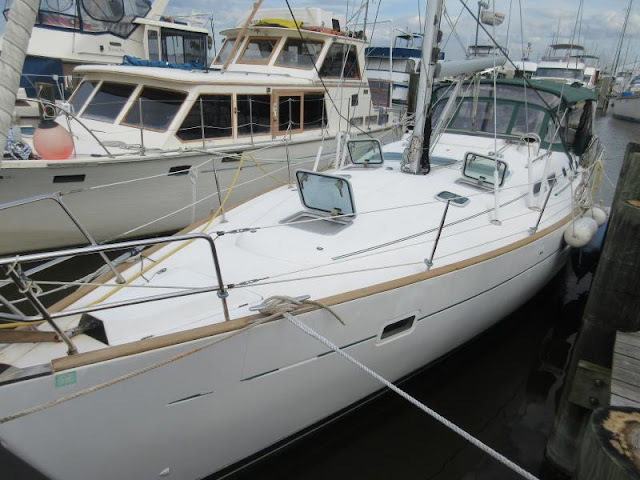 With our plans now to haul Fleetwing in the Chesapeake instead of taking her all the way back up the Hudson River to the Poughkeepsie Yacht Club. That will save us the trip down the Delaware Bay and up the New Jersey coast. 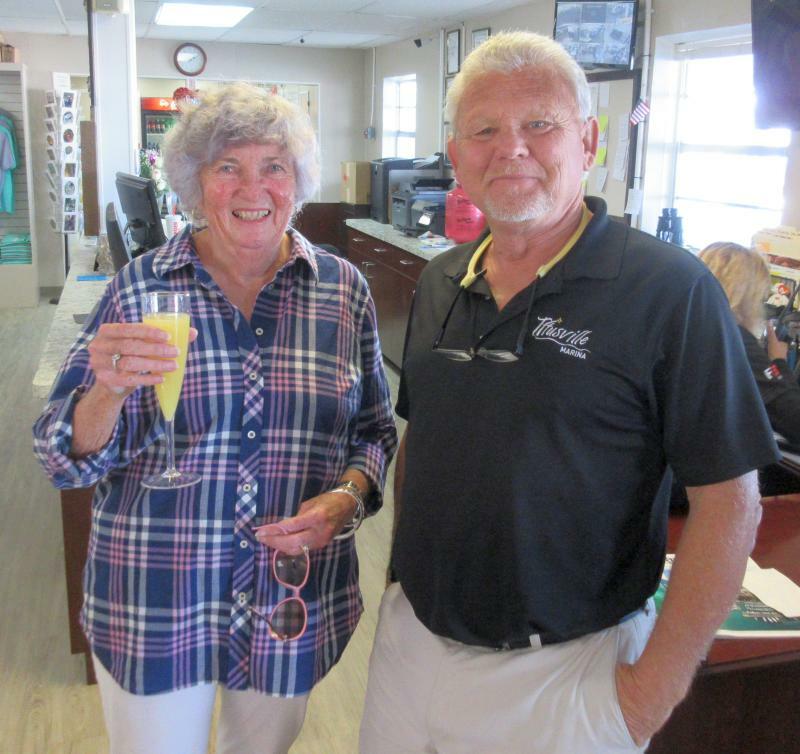 In the fall, it was always chancy dodging hurricanes going south in September but we won't have to worry about that if we leave our boat in Deltaville. We will still be able to explore every inch of the ICW and next year, that will include going to Key West. We really miss the town and all our friends there that we've made over the years. For now, it's just enjoying the warmer weather and getting ready for the trip north. We took three days to reach Titusville, always a step ahead of the storms from the north. 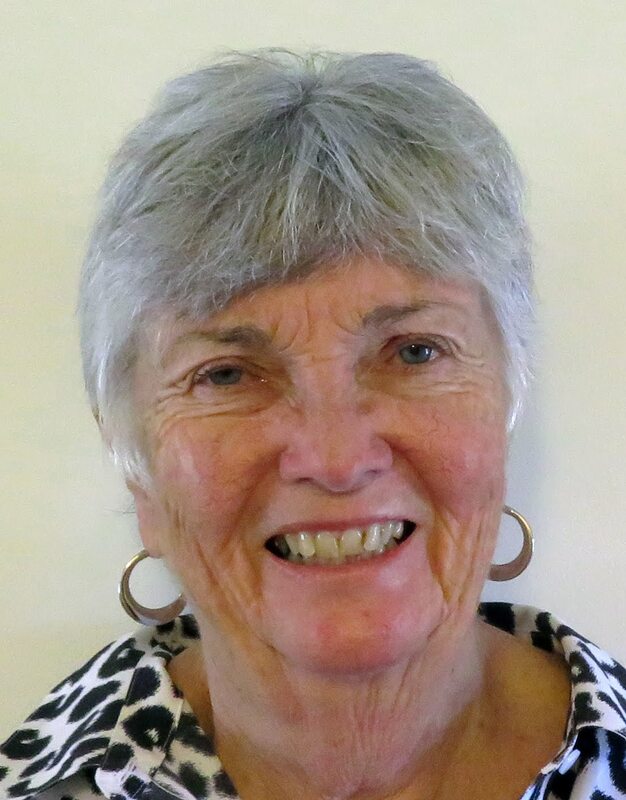 Since I was prohibited from driving for 6 months due to my pacemaker per New York law, Ann did all the driving and we broke the trip up into three days. Ann did great, I was just a passenger for this trip. As was our custom, we stayed at Red Roof Inns since they accept pets at no additional charge so Hoolie had a home at night by us. The change in weather was dramatic! We left just ahead of a major snowstorm and found the temperatures in the low 80's when we arrive in Titusville. It sure feels nice to be back in warm weather even though it's not Key West (wait until next year!). Ann and I received a nice surprise upon our arrival, a bottle of wine and card from Rick Lamb and Elizabeth Yanow. Our boat in good shape although it needs a major cleaning, both inside and out. Now I will spend time debugging AIS on Aqua Map as well of NMEA output to the app as well. Once the beta is debugged, it will be released to the world with a bunch of new capabilities.